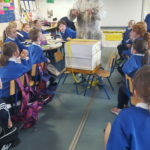 We were very fortunate to have Mr.O Brien a local beekeeper visit our room.We learned many interesting facts about the hive,the workers and the job of the queen bee.There was great fun in trying to mimic the bees flapping their wings and the waggle dance. 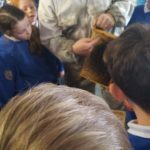 Mr.O Brien opened the bee box and this allowed us to see the various layers of hexagonal honeycomb inside. 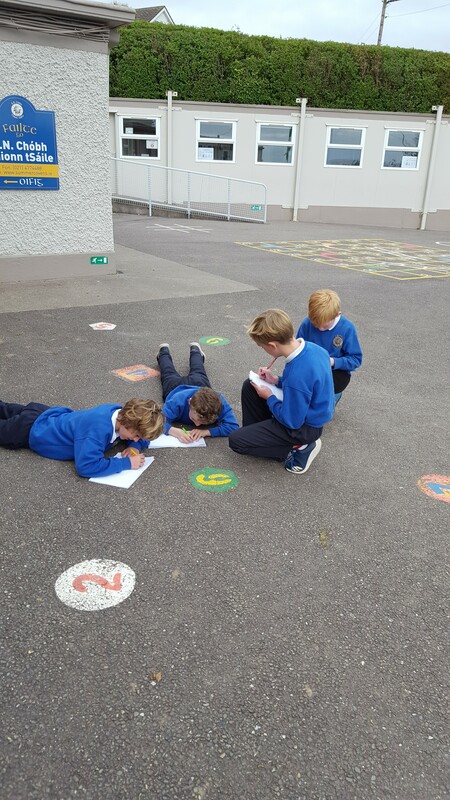 With the start of a new year in rang a trí we set some goals for ourselves.Firstly to have dear time everyday and to be active for ten more minutes of the day excluding break times. 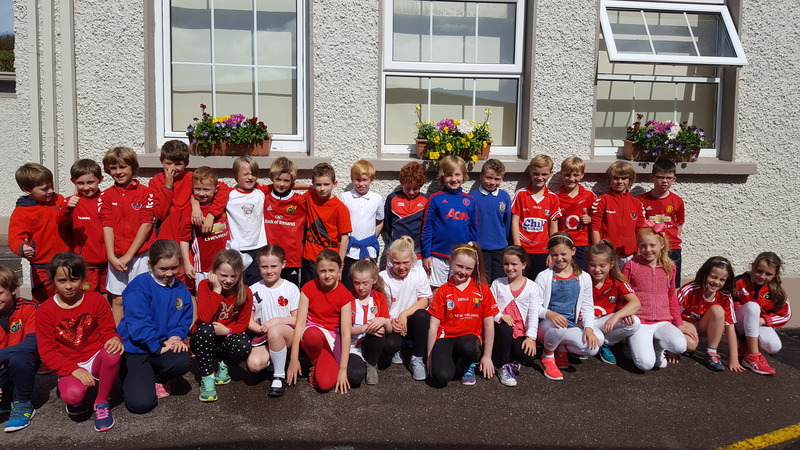 Both goals have been easily achieved.New sports such as Table tennis with Alan and Hurling with Anthony have further added to our physical education. 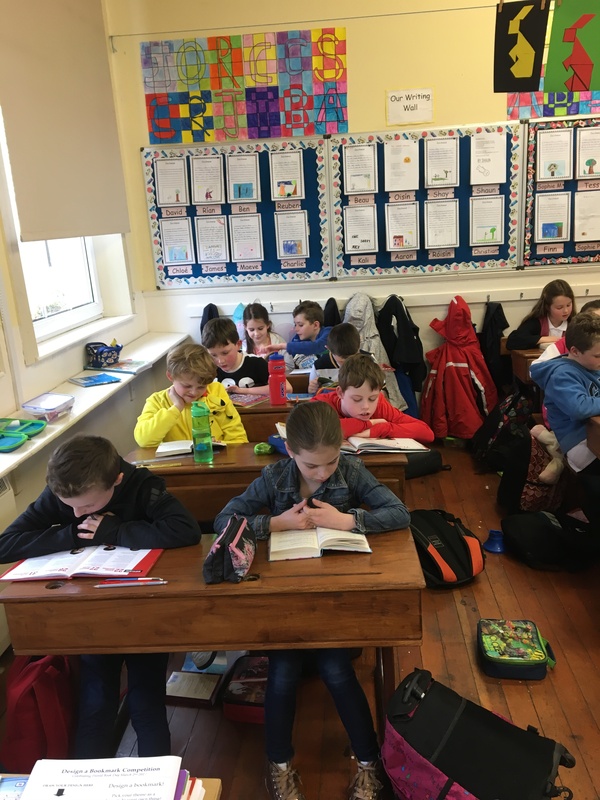 The first term in Rang a Trí was a busy one full of new learning opportunities. In September we enhanced various curricular areas firstly with Literacy Lift Off followed by football skills with Anthony. During October we welcomed Ms.O’Leary to our room. 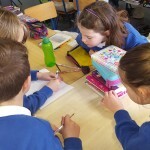 She guided us through various enjoyable and interesting topics and we became pen-pals with a third class group in Tralee. We really enjoyed having her in our room. 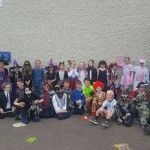 Halloween was marked by dress up, cluichí bingó, tráth na gceist and taking part in festive traditional games. 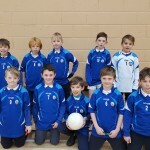 In early November there was great focus, perfection of skill and excitement in the build up to the indoor football blitz. Each team represented our class and school proudly on the day of the competition. Maith sibh go léir! 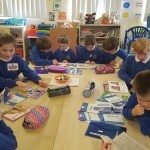 We worked very hard on our tables through various games and activities during this month. 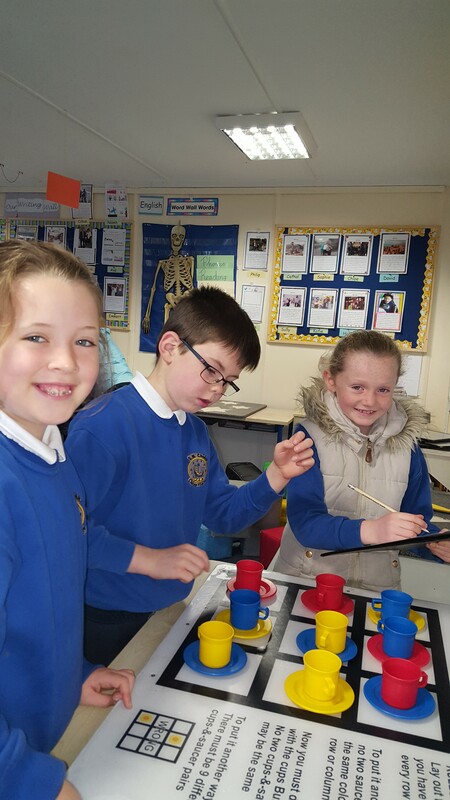 In science our topics included life in the Space station and building a space buggy to travel on Mars. 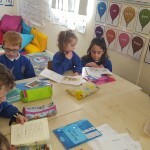 While in Literacy we were engaged in the novel “The Butterfly Lion”. Throughout the month, we were very busy learning songs and dance routines for our performances as Palace Hobnobs in the school show “Cinderella here we go again”. As Christmas is nearly upon us, we are getting festive through song and poetry while looking forward to a well-deserved break after a busy first term. 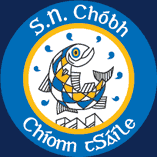 Nollaig Shona agus áthbhliain faoi mhaise daoibh go léir ó Rang a Trí. 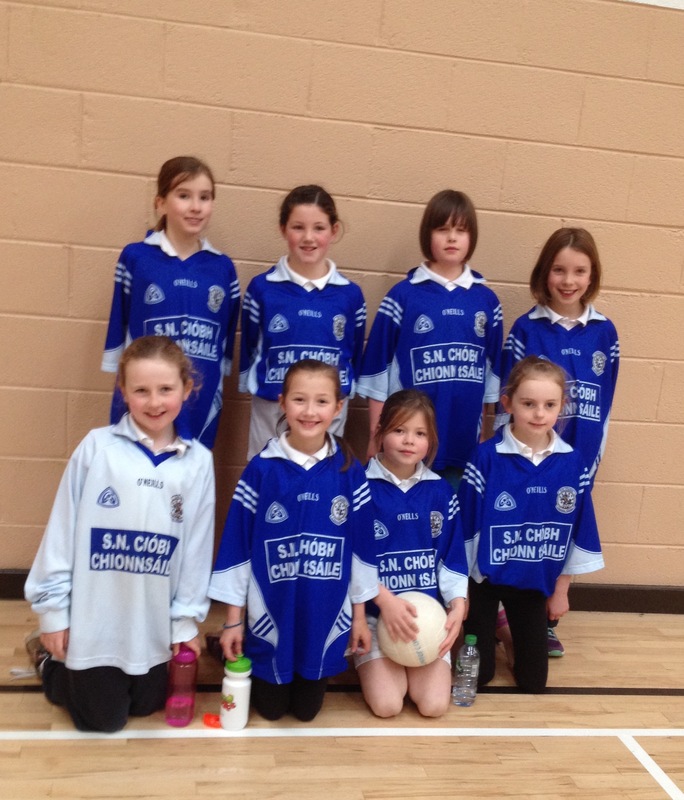 Rang a trí were well represented by a team of girls and boys in the local indoor football blitzes in Riverstick.Each team displayed great team spirit,determination and skill.Great fun and enjoyment was had also!Maith sibh go léir! 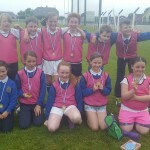 On Tuesday the 19th of June rang a trí took part in a local football blitz.The class was divided into three teams.There was great determination and team spirit shown by each team as they played each match in their group.The semi-final was nail biting as the green team had to play the pink team.The final saw the pink team victorious against a team from the Gaelscoil.Everyone had a great afternoon.Chionn tSáile Abú! 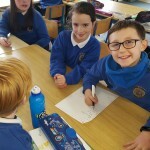 Seachtain na Gaeilge i rang a trí. Bhíomar ag damhsa sa chlós agus ag déanamh tráth na gceist sa rang.Bhaineamar an-taitneamh as. We spent a lovely morning at Charles Fort and the walk there and back was great for our Active Flag contribution. 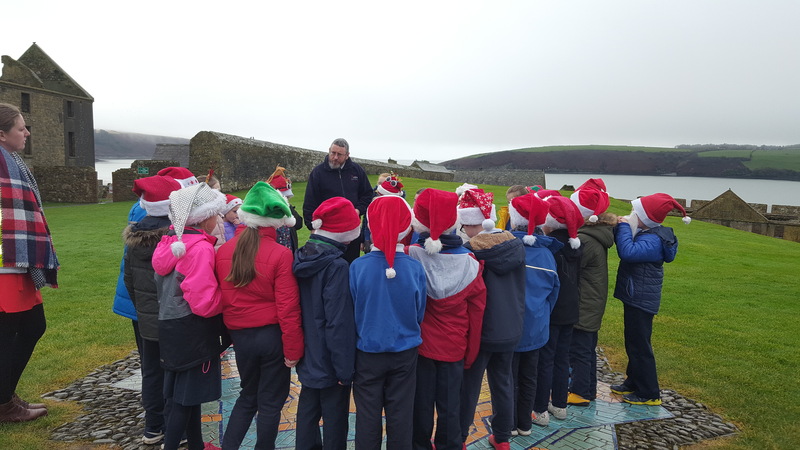 Thank you to all the staff at Charles Fort for inviting us over and entertaining us with great historical activities. Rang a 3 were delighted to receive their STEM certificate along with Rang a 5 at the beginning of term 3. This certificate was awarded to both classes for the various investigations, projects and work they completed during the year in the areas of Science, Technology, Engineering and Maths. 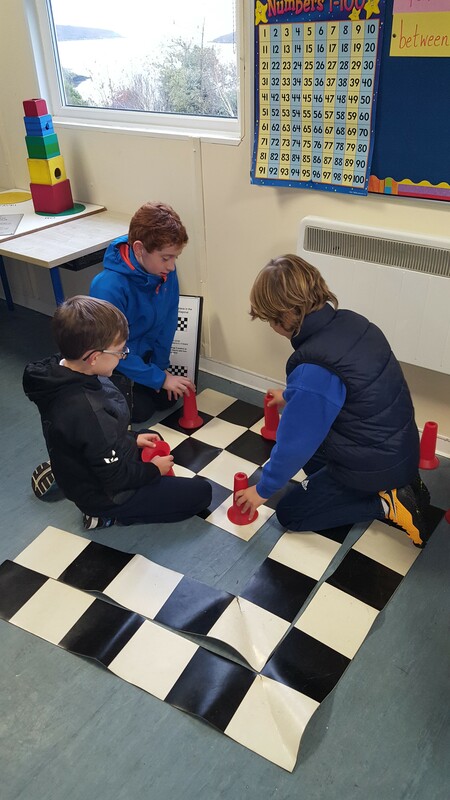 We had great fun participating in all of the games and activities during Active Week. Rang a 3 pupils showed great leadership by helping the younger pupils with the station activities and new dance routine. 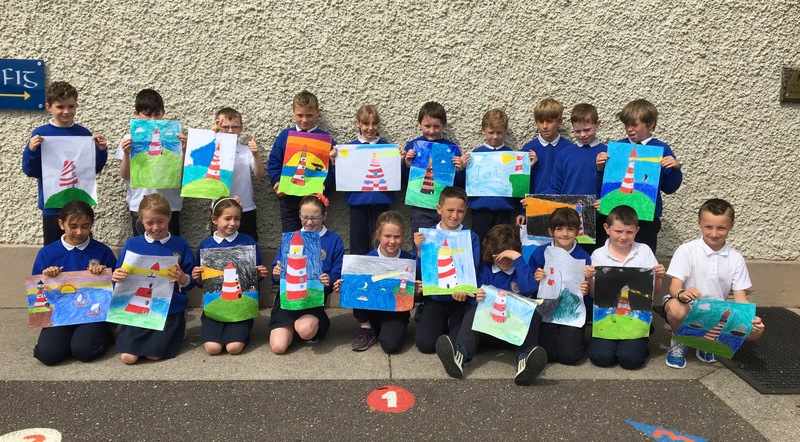 Pupils also demonstrated their artistic ability during the term with their lighthouse drawings and dot paintings. 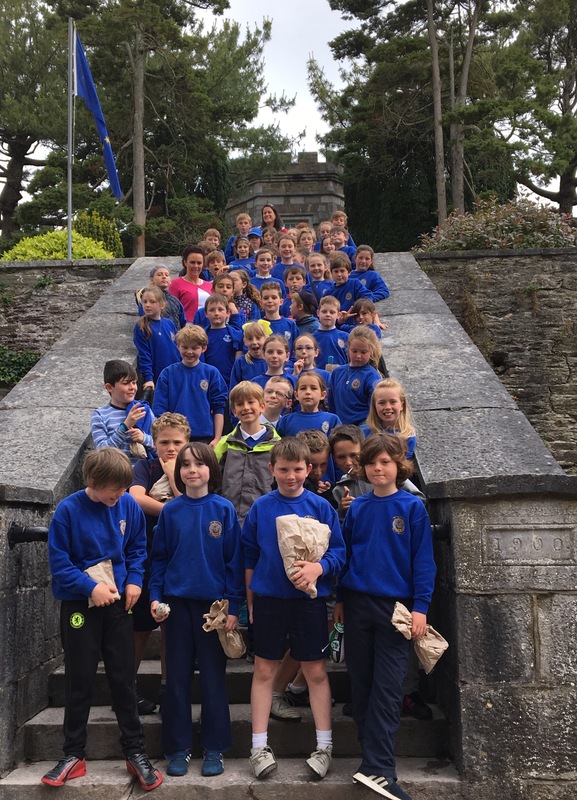 Our school tour on May 30th with Rang a 4 was certainly one of the highlights of the term. In the morning we enjoyed a most interesting guided tour of Cork City Gaol followed by a surprise visit from the ice-cream van! It was then on to Fitzgerald’s Park for lunch, a kick around and some fun in the playground. Our tour ended with an action-packed afternoon in The Mardyke. Everyone thoroughly enjoyed the day and no doubt slept well that night! Pupils have made great progress with their swimming this term thanks to the instructors at the MacDonald Hotel. 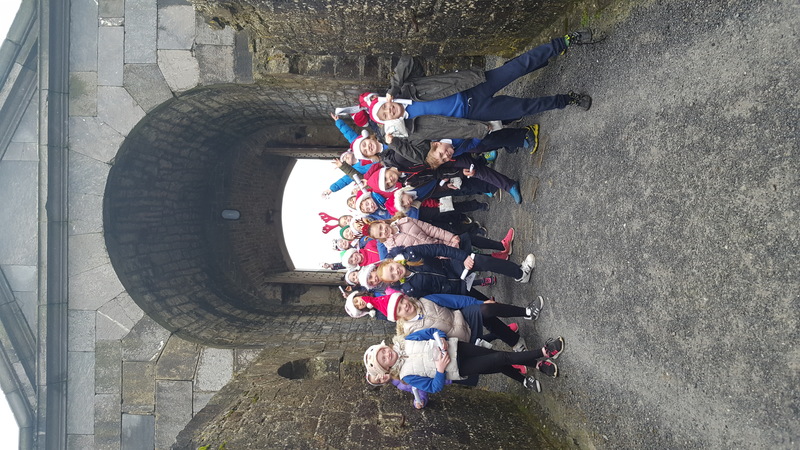 Finally, we can’t wait to take part in the annual school Fun Day on June 16th and we are also really looking forward to our visit to Charles Fort! Bain taitneamh as na laethanta saoire! 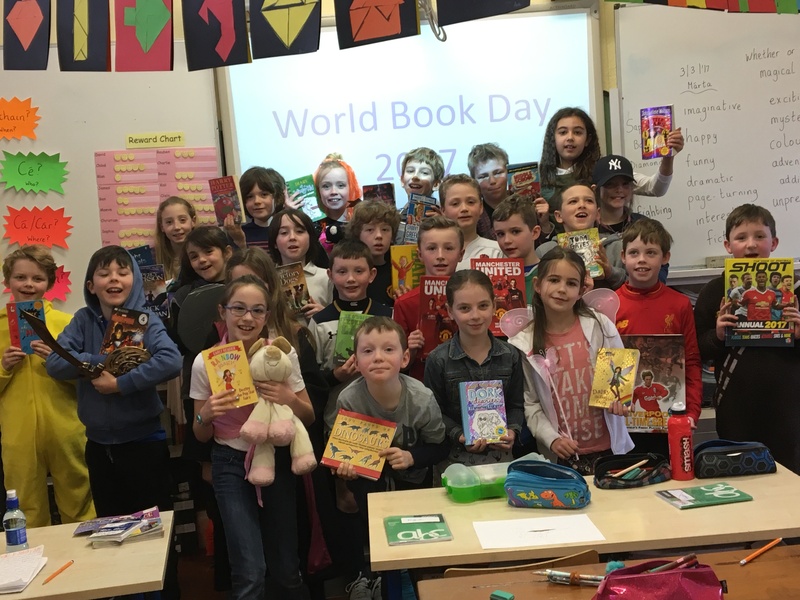 Rang a 3 had great fun dressing up as their favourite book character for World Book Day 2017 and they enjoyed reading their library books during the day too. 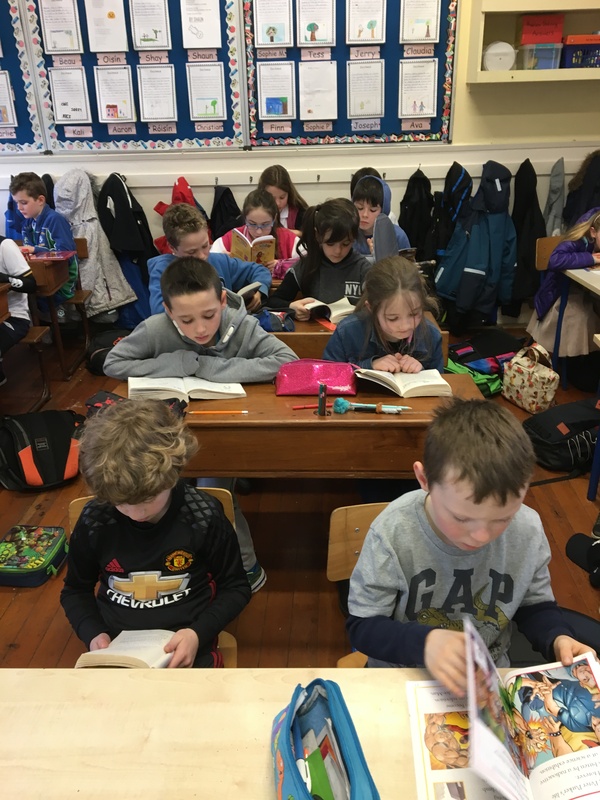 Our block of Shared Reading is going well and thank you to Rang a 5 for reading with us on Mondays during this block also. 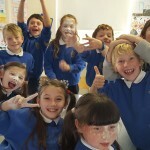 With the festive season approaching, it’s time to take a look back at a busy first term! 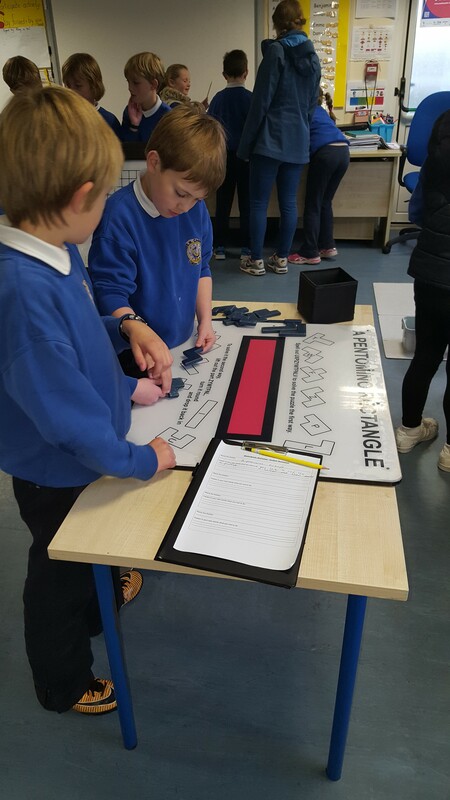 In October, Rang a 3 really enjoyed taking part in all of the hands-on games and activities during the Maths workshop given by the team from The Lifetime Lab as part of Maths Week. 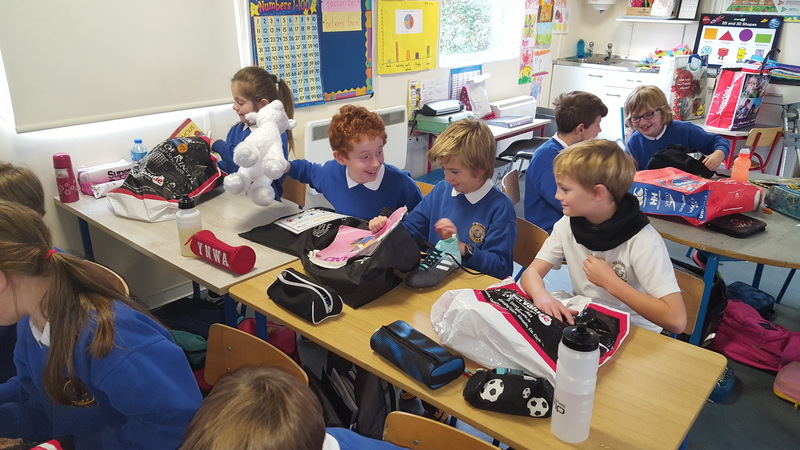 Thanks to Alan for introducing the class to table tennis and to Anthony for helping us improve our Gaelic Football skills during the first term. We look forward to more coaching sessions next year. We were thrilled to get the opportunity to plant some lovely flowers in our school boat, ‘Bád an tSonais’, with help from our friends at the Bandon Co-Op. 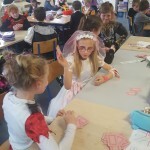 We had great fun making spooky skeletons and scary pumpkins for Scary Bingo in October. 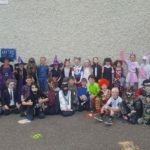 Everyone looked great in their Hallowe’en costumes too! 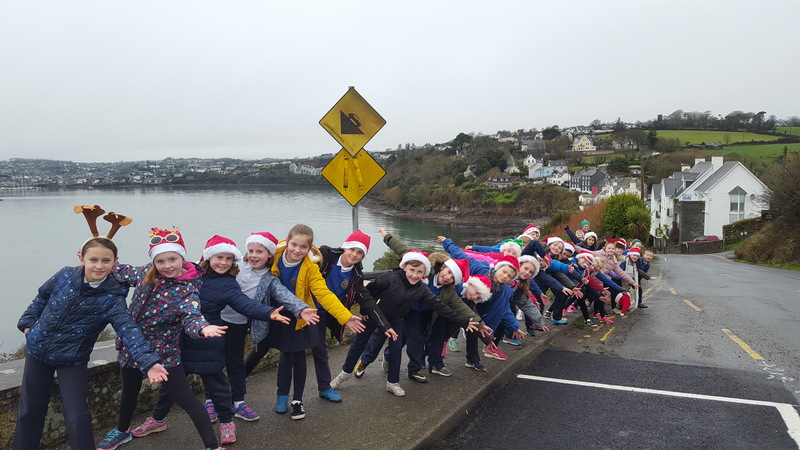 At the start of November, Caroline from Cork County Council taught us how to be safe while visiting our local beaches and demonstrated the correct procedure to follow when using a life buoy. 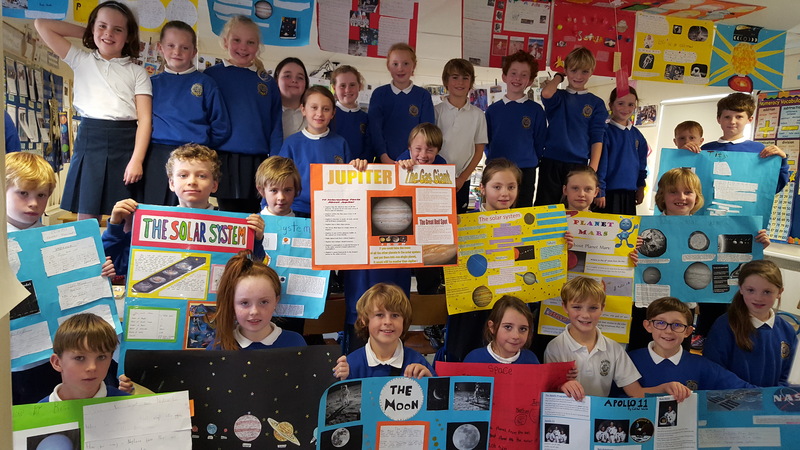 All pupils in Rang a 3 put huge effort into researching and presenting excellent projects on Space and The Solar System at the end of November. Well done to everyone on their hard work! Our Christmas cribs are under construction at the moment and we are also busy preparing for the Christmas Carol Service on December 14th. We are really looking forward to our performance in St. Catherine’s Church! Nollaig Shona ó Rang a 3! 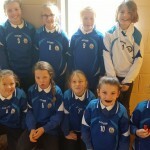 Girls from Rang 3 who took part in the Football Blitz recently. 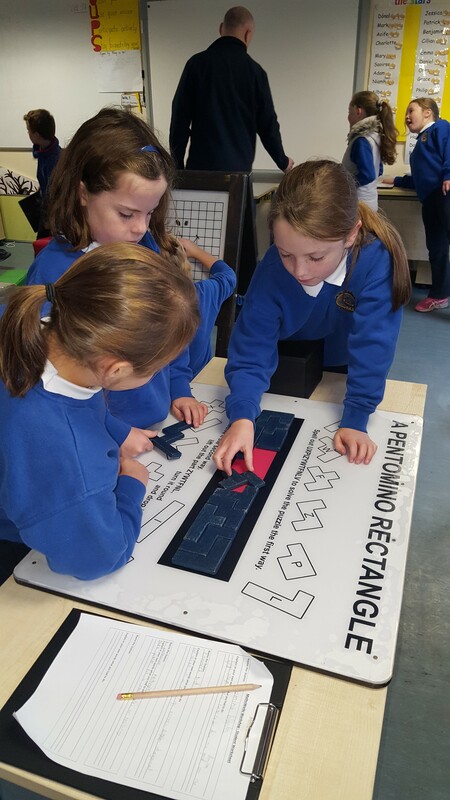 Our final term has certainly continued to be a very busy and active one! 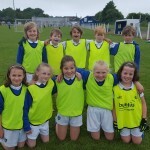 At the beginning of the term, we had an enjoyable day at the annual local Football Blitz in Kinsale GAA pitch. All pupils in Rang a 3 put huge effort into researching, compiling and presenting their projects based on various European countries. Well done everyone! During the final term, Alan kindly took the class for Table Tennis lessons again. We also enjoyed our whole school walk from Lidl to school on May 20th. On the 28th of May, Rang a 3 went on their school tour with Rang a 4 to Cork City Gaol and The Mardyke Arena. Our tour guide Siobhán gave us a very interesting guided tour, through which we learned about the history of the Gaol and we also busily filled in our activity sheets based on the Gaol along the way. 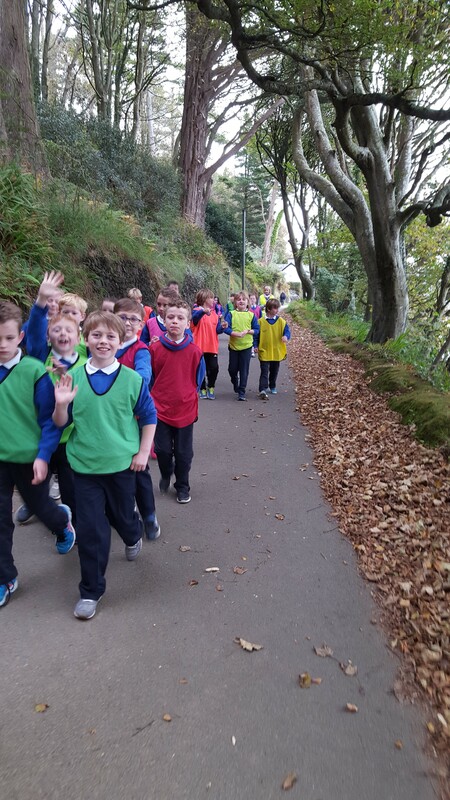 Following this we enjoyed lunch and ice-cream in Fitzgerald’s Park and tested out the shaky bridge! We ended the day with a variety of games and activities in The Mardyke Arena including swimming, the climbing wall, crazy golf and Olympic challenge. A great, fun-filled day was had by all. Many thanks to the firemen who visited the school on Friday 29th of May. 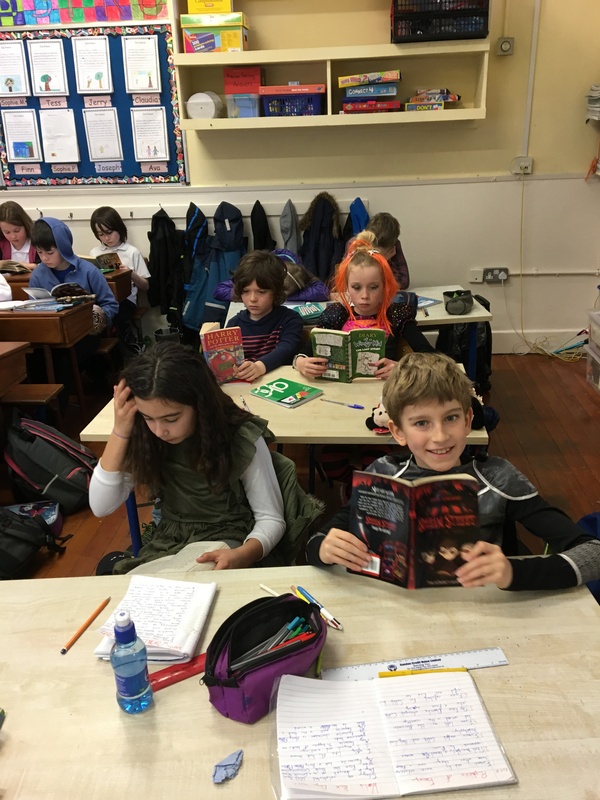 We learned a great deal about the dangers of fire and fire safety.We have also been busy this term using our creative writing skills as we wrote our own stories and poems for ‘We are Writers’ and also for the Hamish Hawkin story writing competition. 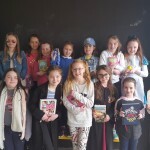 It was great to see everyone dressed up as their favourite book character and enjoying the book fair at the start of June. During May, representatives from AIB kindly awarded us with certificates on completion of our lessons based on saving money and banking services. 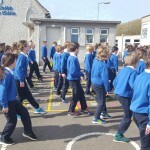 Many pupils in the class participated in the Mini-Munster Irish Dancing Competition in Limerick on June 4th. The pupils came home with many well deserved medals and trophies. Thank you to Eileen for all the hard work coaching and organising. A huge well done to all who competed! 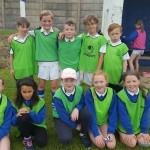 On Friday the 5th of June we took part in the local Tag-Rugby Blitz, playing matches against other Kinsale school teams. Many thanks to Denis from Kinsale Rugby Club for organising both the training sessions and the blitz. 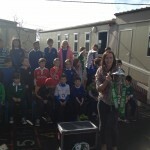 There was also huge excitement when both RBS Six Nations trophies visited the school on the 9th of June. 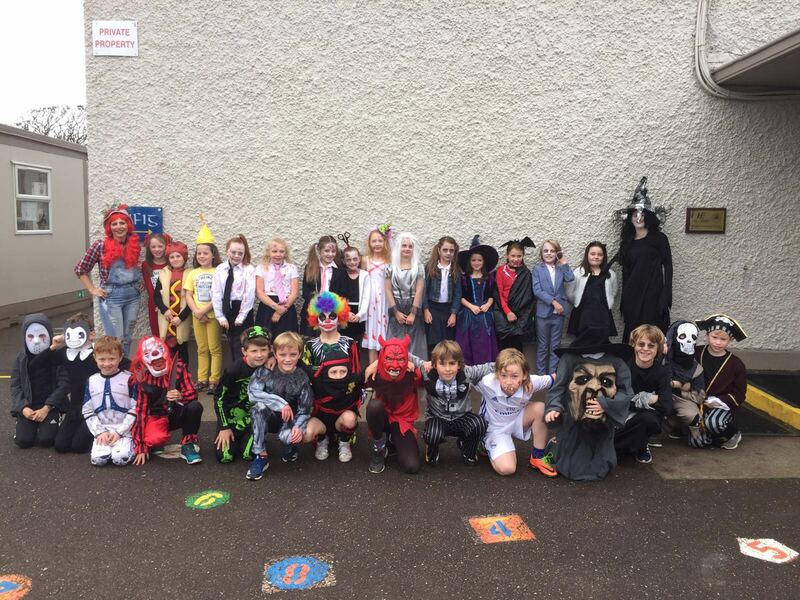 We were delighted to show off our various talents recently in our Rang a 3 class talent show, which included fantastic singing and dancing performances and artistic, magic and taekwondo displays. Well done to all the performers and also to our super DJ for the day Dylan Collins and our wonderful presenters Gabby, Charlotte and Alex. Finally, we can’t wait to take part in the school fun day on the 19th of June. After a jam-packed year, we are looking forward to a well-earned summer break! 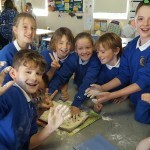 It really has been another busy term in Summercove! At the beginning of the term, Rang a 3 researched and presented excellent projects on the topic of Ancient Greece. Well done to all the pupils on their hard work! 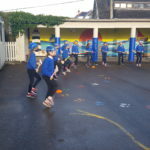 At the end of February, Rang a 3 started hurling lessons with Coach Anthony Shannon. 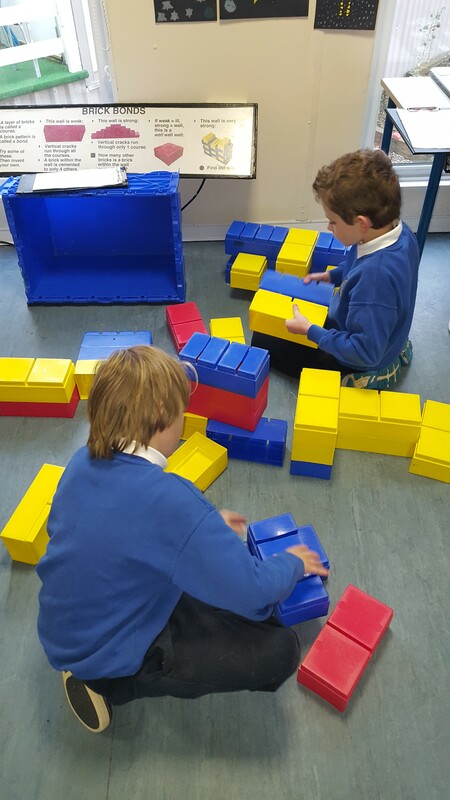 The class are making great progress each week with their picking-up and striking skills. Congratulations to Jonathan Walsh, who entered and won a Siamsa writing competition. Jonathan wrote a wonderful essay about his favourite day over Christmas. Congratulations also to Dylan Keating, who came first in the third class category of the Kinsale St. Patrick’s Day art competition! All pupils put great effort into their drawings for this competition. The Lion King Junior musical was definitely one of the big highlights of the term. Our class really enjoyed performing as hyenas to the song Chow Down. 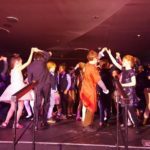 Everyone put great effort into their costumes, face-paint and art-work and also into the many rehearsals of songs and dance moves! It certainly was a fantastic experience! 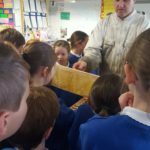 Many thanks to Kevin Connolly, who kindly gave us a great opportunity to view the Solar Eclipse safely, by using his telescope to project the image on paper. Thanks also to Alex Connolly, who passed around his special eclipse viewer to everyone. Rang a 3 and Rang a 4 are preparing for Easter Confessions which will take place in school on Tuesday March 24th. 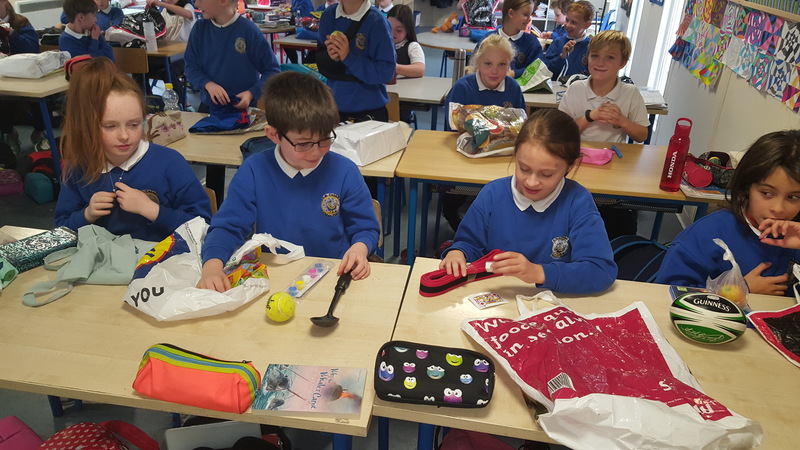 Happy Easter to all from Rang a 3! 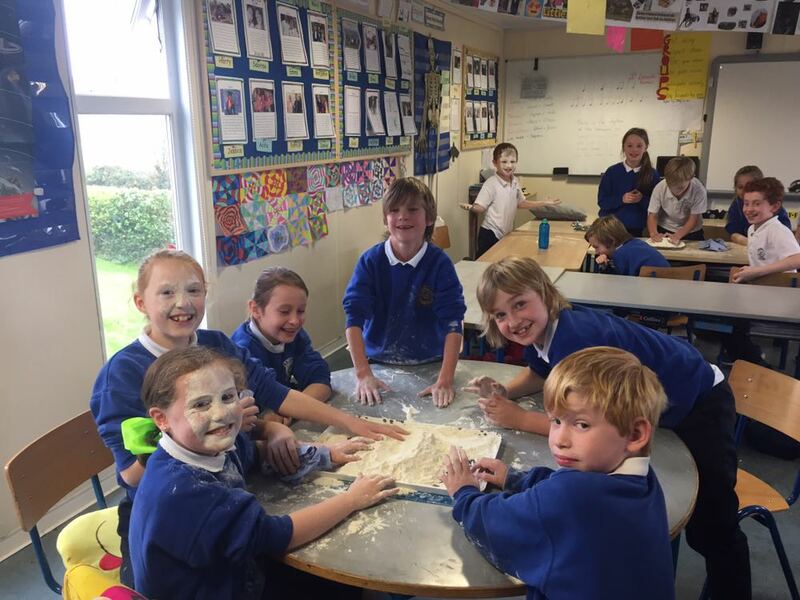 It certainly has been a busy and active first term in S.N. Chobh! 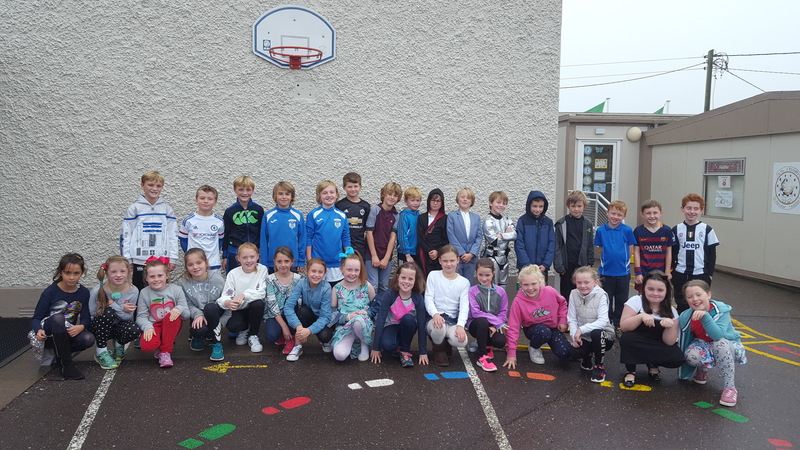 We have enjoyed the learning and practising many Gaelic Football skills with coach Anthony Shannon during the first term. We are looking forward to taking part in the indoor football blitzes over the coming weeks in Riverstick Hall. In September, we took part in a yoga class with Mary Hayes. It was great to have the opportunity to try something new and enjoyable. Congratulations to Jenny Foley who came first and Ella McCoy who came second in the third class category of the Haven Bay Art Competition as part of Positive Ageing Week. During October, Rang a 3 were busy researching and presenting great projects on various feasts and festivals both in Ireland and around the world. On Thursday 13th of November, Rang a 3 began their block of swimming lessons in the Carlton Hotel. The pupils are really enjoying these lessons and are making great progress with their swimming thanks to the coaches there. We are currently taking part in the healthy eating ‘Food Dudes’ initiative. As part of this initiative we taste a variety of fruit and vegetables and we are receiving great prizes along the way too! 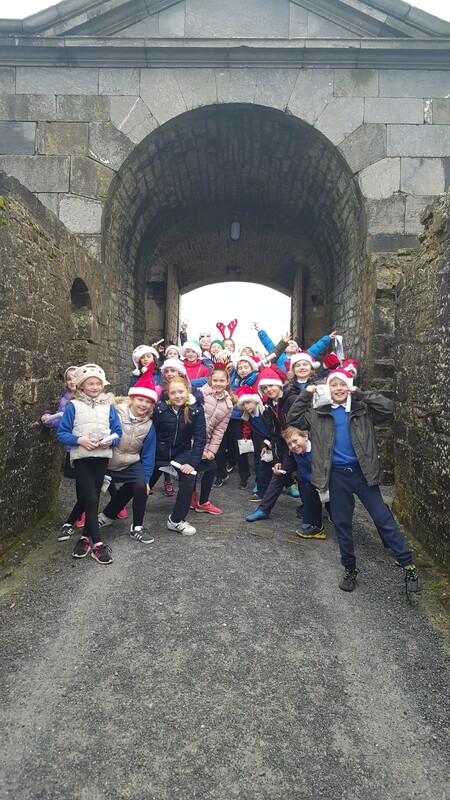 With the festive season approaching, we are now busy getting ready for our Christmas carol service, singing songs and practising our tin whistle tunes with 4th, 5th and 6th class. We are really looking forward to the big performance in December! Well done for all your hard work this term. At the start of the second term, Rang a 3 were busy researching and presenting great projects on various places and countries around the world. 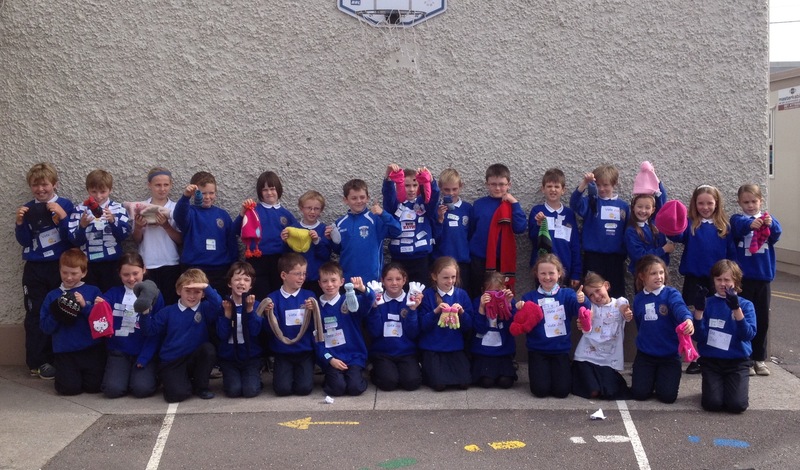 Well done to all pupils on their hard work! 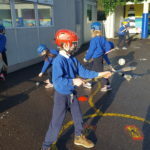 On Monday 10th of February Sharon kindly showed the class some hockey skills. Great fun was had by all practising these skills. Many thanks to Sharon for her time! Congratulations to Selvin Foley who came second in the third class category of this year’s Kinsale St. Patrick’s Day art competition! As part of the many activities during Seachtain na Gaeilge we learned the Haka in Irish and we also made shamrock characters! Congratulations also to Daniel Hegarty who won a prize for his entry into the Bookstór’s ‘Design a Bookmark’ art competition! 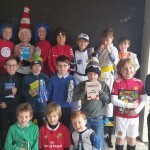 Rang a 3 are really enjoying their shared reading books at the moment and had great fun dressing up for World Book Day. 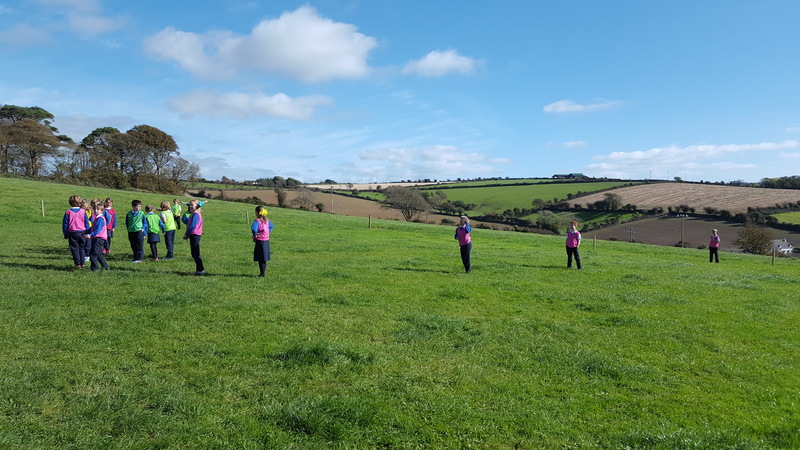 Great progress is being made with our hurling skills thanks to our coach Anthony! We are really looking forward to the many activities of Active Week 2014. We’ve had great fun practising our dance moves so we can teach the Junior Infants the Macarena during this week! 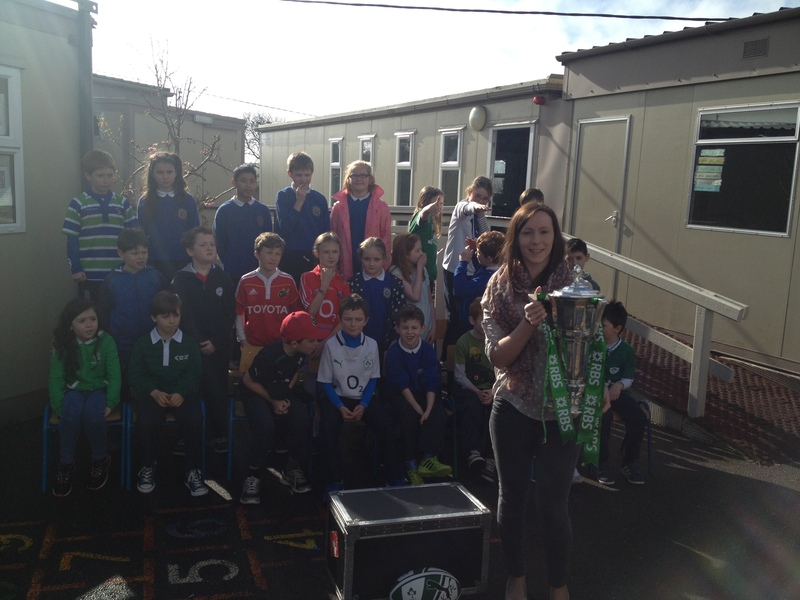 Finally, we were really excited to have our picture taken with the RBS Six Nations trophy! At the end of September, Rang a 3 took part in swimming lessons for a block of seven weeks. We really enjoyed these lessons with the instructors at the Carlton Hotel. We also teamed up with Rang a 4 in performing a selection of songs, drama and poetry for Mrs. Lane on her retirement at the end of October. 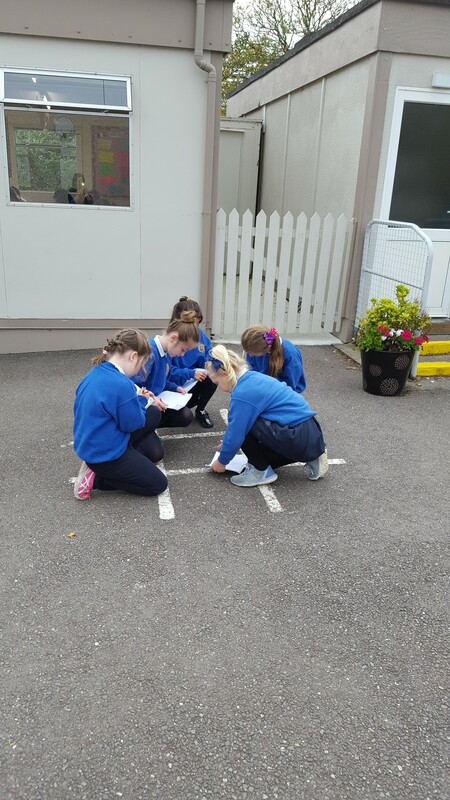 During the month of November, Ms. Orla Finn and Ms. Amy Buckley – students of Mary Immaculate College, completed their Teaching Practice in Rang a 3 & 4. We are now busy preparing for Christmas, singing songs for the Carol Service and learning our lines for our play ‘Stable Manners’.